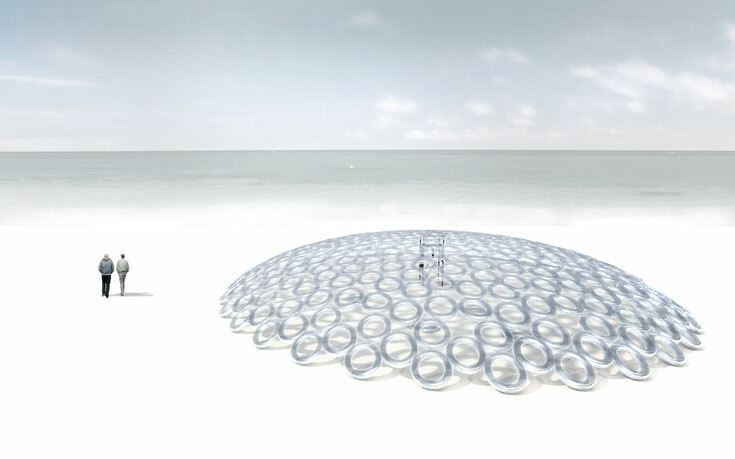 We envision the use of a ubiquitous element like the life-float assembled into an igloo dome, an inert material catalyzing the chemistry of the beach experience. Though this installation brief functions in winter, we believe it serves a programmatically relevant function thoughout the seasons. The lifeguard stand serving as a structural locus, from it radiates rings of life-floats outwards to form a semi-outdoor dome reminiscent of an igloo. 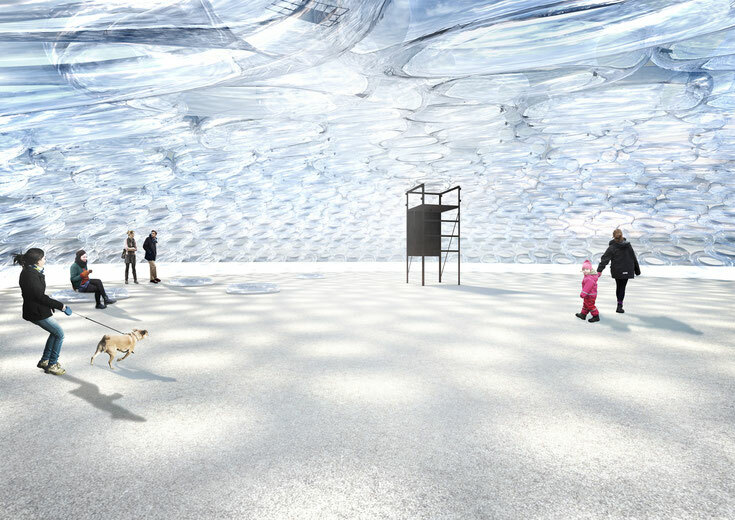 It allows snow to permeate the space while maintaining a horizon of the lake through the translucent life-floats. A magical space of light and airiness is created for users to rest. 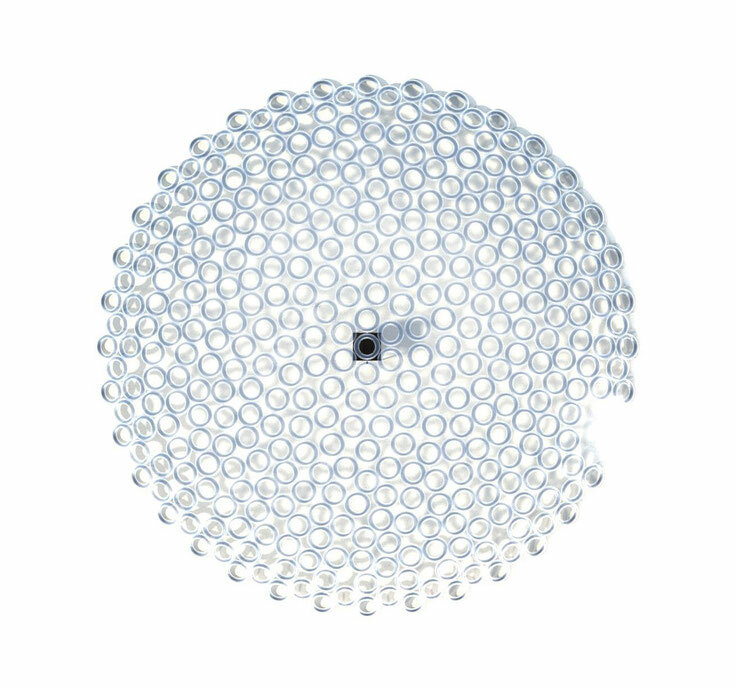 The installation is quick, as life-floats are lightweight, foldable, inflated on site and tied together to create the installation. Unassembled it can also function on its own as life-floats, or reassembled elsewhere. We believe it is a creative and sustainable solution to the brief.